IBM basically invented the idea of the mainframe and terminals. Over the years, the rise of the mid-range gave an affordable alternative to mainframes and terminals. The Personal Computer, made popular in businesses by IBM, was originally considered a more flexible terminal, but started to become heavier with the advent of client-server computing, eventually eating away at the mid-range market. 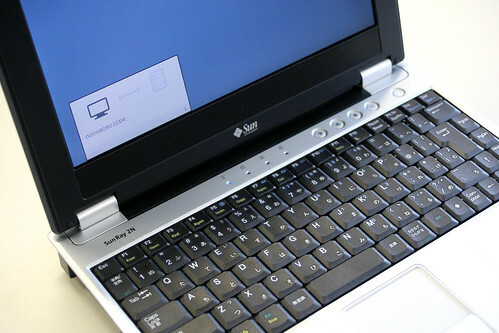 The technical workstation, designed to bring more powerful computing power for the desktop in an open architecture, was eventually replaced by the Personal Computer and Thin Client. With more computing infrastructure becoming virtualized, there is a heavy movement toward Thin Clients, but IBM is having difficulty partnering fairly. IBM partnered with Devon IT to provide a Thin Client solution for their blade servers. After IBM provided inflated numbers on two occasions to Devon IT, requested Devon IT for money in conjunction with development resources, Devon IT borrowed cash from a third-party two times to supply the cash with development, and IBM canned the project somewhere in the middle - the failed joint effort resulted in a lawsuit. $3,000,000 from Devon on March 1, 2008 under the iDataPlex Agreement after the Blade Project had been cancelled but before Devon was advised of the cancellation. 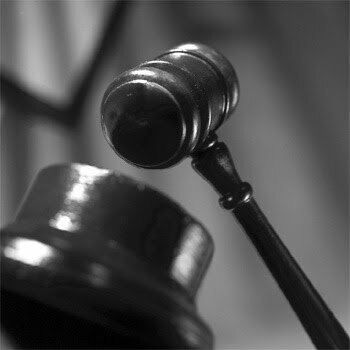 Upon information and belief, the RICO Defendants did not advise Devon of the cancellation of the Blade Project until April, 2008 to ensure that the RICO Defendants and STG would receive the $3,000,000 development payment in March, 2008. 101. ...According to Meyerson, expected sales would be at least 100,000 planars per quarter with a likelihood of more than 500,000 planar sales per quarter. 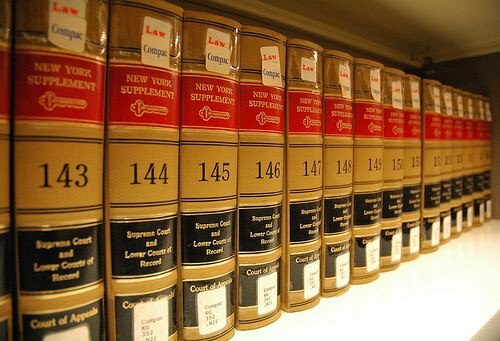 Additionally, Meyerson represented that the part numbers would be readily available world-wide. sold through the second quarter of 2010, and $10 per planar thereafter until 2013 with certain specified caps that would set the total royalty at $9,100,000 through the second quarter of 2010 and at $14,700,000 through the fourth quarter of 2013. See Exhibit “G” at § 19.1. 103. Meyerson explained that the royalty stream of $100 per planar through the second quarter of 2010 was intended to return to Devon the $8 million that had been invested in the iDataPlex Project, plus reasonable interest. Meyerson characterized the revenue stream from the proposed restructuring of the iDataPlex Agreement as an “underhand pitch.” Upon information and belief, Meyerson agreed that IBM would return the $8 million owed to Devon with the restructuring of the iDataPlex Agreement as part of the unlawful accounting scheme identified and described in Paragraphs 1 - 6, 69 - 72. 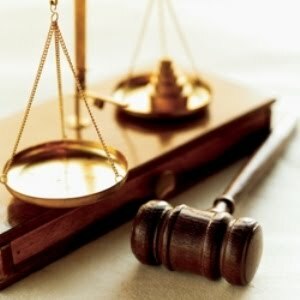 Restructured Agreements that Devon would not receive the IBM part numbers he had promised, that the information and estimates he provided regarding future royalties were inaccurate, and that Devon would not have agreed to the Restructured Agreements if he had truthfully disclosed the situation. IBM and Devon had an agreement that IBM would not market another Thin Client. After taking Devon's money, IBM went ahead and broke that agreement, as well. expressly prohibited until December 31, 2010 from, among other things, proactively enabling thin client hardware products which are “similar or reasonably equivalent in function to Devon’s TC-5 and/or TC-2 product…” See Exhibit “H” at § 2.0; Exhibit “I” at § 2.0.
proactively enabling a very similar thin client hardware product developed by Wyse Technology (“Wyse”) in clear breach of STG’s obligations under the Addenda. 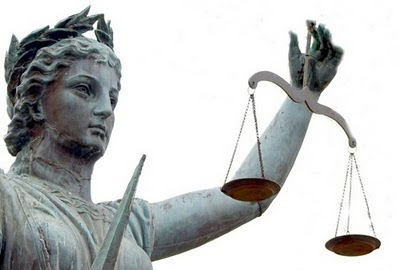 STG’s breach and improper marketing of Wyse’s thin client terminal has undermined the competitive edge the Addenda were intended to give Devon’s TC5 and TC2 products. What is even more unbelievable, IBM took money for marketing Devon products to promote a competitor's product, in breech of contract! Devon. The video is posted at http://www.youtube.com/watch?v=HYCwr27pko4 . IBM promised the assignment of an OEM part number with royalties and promptly canceled the product upon agreement signature. throughout June of 2008, Meyerson and other IBM employees continued to assure Devon that Devon’s TC5 thin client terminal would be assigned an IBM OEM part number. By having an IBM part number assigned to Devon IT’s thin client, the thin client would be released as a standard product from IBM and would have immediate name recognition and credibility in the market place by virtue of its association with IBM. assurance to OEM the TC5, and Devon relied on the representations that IBM would do so in entering into the Restructured Agreements. After breaking the OEM Thin Client agreement, IBM agreed to market the Thin Client under a different program to make it more price competitive, but broke that agreement as well. Meyerson advised Devon that the TC5 instead would be marketed through IBM’s vlh program. According to Meyerson, Devon would enjoy greater monetary benefits through the vlh program than had IBM assigned TC5 an OEM part number because IBM would only mark up the sale price of the TC5 by only 5 - 10%, a much lower mark up than the mark up that would be made if the TC5 were assigned an OEM part number. 122. 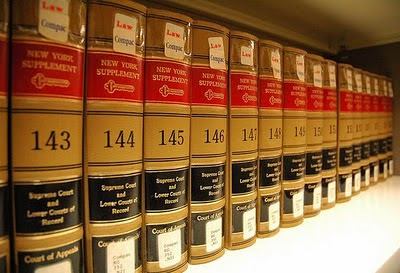 However, despite the representations from Meyerson that Devon’s TC5 would be marketed at a competitive price, the RICO Defendants proceeded to mark up the TC5’s sale price by a substantially higher amount than the 5 – 10% than had been represented, thereby making it exceedingly expensive and less appealing to customers. number to the TC5 as originally promised, Devon would have likely garnered $900 million from the OEM program. 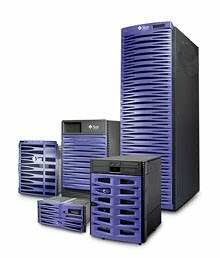 While IBM had been extracting funding from Thin Client manufacturers to defraud stock investors regarding financial performance and demonstrating very little commitment to the Thin Client market, there has been another vendor who has heavily invested in the Thin Client community: Sun and Oracle. While IBM was working to put Thin Client vendors out of business by allegedly defrauding them of their money, there are many success stories with SunRay Thin Clients. 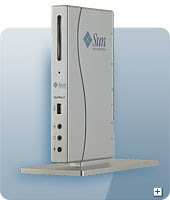 Sun had produced Thin Clients for internal and external use for over 10 years. The very first SunRay 1 client is still compatible with the existing framework, even though it is over 10 years old. What made this client so attractive was the ability to plug in existing desktop components and give the user the ability to just throw out the PC. There was also an all-in-one first generation SunRay 170 that was available. Very sleek and stylish. Keep the old keyboard with mouse and dump the monitor and PC. 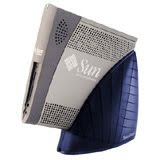 The second generation SunRay 2 thin client offered additional capabilities such as encryption with the additional horse power on-board while being half the size with half the power consumption. 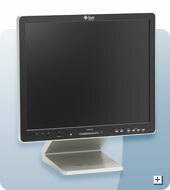 An ergonomic and slim all-in-one SunRay 270 was also made available. New to the family was a SunRay 2N laptop! Yes, if it is stolen, there is no fear regarding loss of data. Use it from home, office, or StarBucks with no fears. After Sun was purchased by Oracle, there was ripe speculation in the industry concerning what would happen to the hardware business in Sun. This was put promptly to rest with the new SunRay 3. This client is incredibly robust, supporting Fiber or Copper networking, with extremely robust dual-DVI monitor support of "up to 2560 x 1600 resolution for a single display or 5120 x 1600 for two displays". Wikipedia offers a nice summary of the SunRay systems. 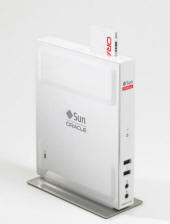 A robust Thin Client community surrounds Sun and Oracle. The mailing list for a Sun-Ray Users Group is active, with an open mail archive. 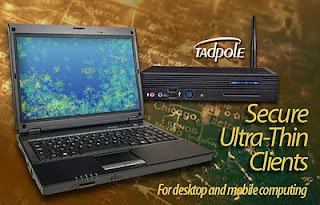 Sun Ray laptops like the Comet15 were produced by third-party vendors such as Tadpole. 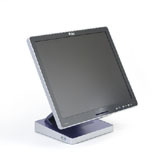 Other vendors such as General Dynamics make entire lines of mobile or desktop thin clients. 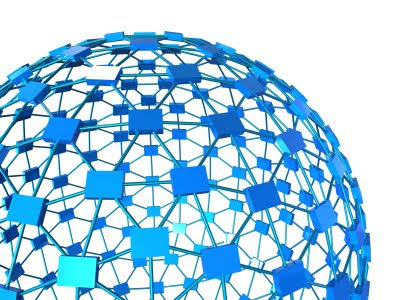 We always try to take the reader back to the point... what does this have to do with Network Management? When building out help desks and network operation centers, the sensible way to manage these facilities is leveraging thin clients. Low paid help desk workers should never have the ability to take intellectual property home from a PC using simple disks, usb sticks, or email. High paid network operation center workers have access to critical data regarding a companies operations and this type of data should also be protected. In both of these environments, the crash or virus on a PC means a loss in productivity, which can be avoided through a simple thin client hardware swap. There is no better way to build out a secure Network Operations Center than to leverage SunRay Thin Clients. As virtualization continues to increase and move powerful clients appear in the market desiring to access data on the internet, Thin Client usage will continue to grow. The SunRay is a stable environment to grow upon, holding an excellent track record for over a decade. Finding Spares and Information and for a Test Lab? Finding Spares and Information for a Test Lab? When one is not in need of hardware or software support, eBay is a great place to go. There are some nice on-line system handbook entries for the older systems, if you don't have a service contract. Of course, if you need some documents, this is a great place to go. Don't forget the system news, for Solaris & SPARC news information not isolated to Oracle! Looking for a recent version of FireFox for Solaris? Solaris ships with a fairly old version, so that is not the place to go. There is always sunfreeware.com - the authoritative place to find SVR4 packages of reasonably recent software for all modern versions of Solaris. Steven M. Christensen provides a level of continuity that Sun (and now Oracle) do not afford to provide. You can find packages dating back to Solaris 2.5 - providing support for systems over a decade and a half old. If you are interested in the latest & greatest - you can go to Mozilla firefox release repository. Looking in the "latest" tree - where are the Solaris packages? Abstract: In Solaris 10, '/' is the default home folder for root. While effective, it's also messy, allowing root's personal files and directories to intermix with the system files. The following explains how to clean up the '/' directory and is easiest if done immediately after installing Solaris. Before starting: you'll need root access to complete the following and you should decide on the new root folder location. Now to move root's personal files to the new home folder. Examine the 'ls -al /' results. Leave everything owned by 'sys' in the / directory. Directories: most directories in /, especially large ones with lots of sub-directories, stay in /. If you think but aren't sure that a directory belongs in the new home directory, leave a copy in / and put a copy the new home directory. Individual files: especially .files like .profile probably belong in your folder.